Dementia Awareness Week is supported by the Alzheimer’s Society, a UK charity which provides support and research for those affected by Dementia. In the UK, there is estimated 800,000 people suffering from Dementia and we want to support the Alzheimer’s Society in raising awareness about this condition. OOMPH! 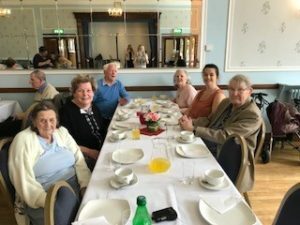 Wellness recently held a Tea Dance in aid of Dementia Awareness Week at The Southport Masonic Hall and they invited the Residents of Mother Redcaps along to enjoy the day. Everyone thoroughly enjoyed the event dancing together along to the live music by Jacqui Lewis. 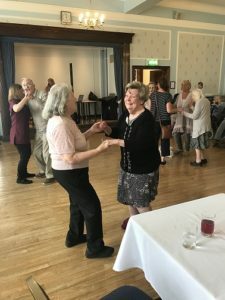 The Tea Dance was an opportunity for Residents to socialise and engage with new people from different areas and communities, sparking different types conversations. We were so pleased to be invited to such an event, for a very worthy cause!